£B. Clean. Untraceable. The perfect crime. 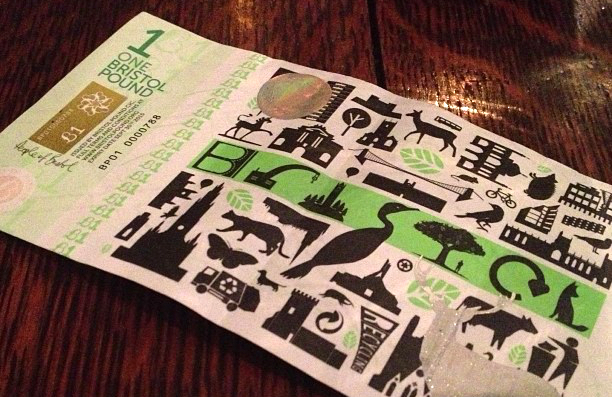 Usually used to purchase fresh sausages from a local market stall, or perhaps a loaf of sour dough from an independent bakery, the recently launched Bristol Pound has recently found a more sinister and worrying use. Due to the un-trackable nature of the currency, it has become a favourite for drug dealers to guarantee a safe business transaction. In-fact, unlike cash, Bristol Pounds are technically classed as a ‘voucher of currency’ making it very hard for law enforcement agencies to confiscate. Once a deal has taken place, the criminal in question can then swap the vouchers at their local bank for completely clean banknotes. A completely legitimate break in the process, effectively legal money laundering. Infact the TEXT2PAY service, which users can adopt via a phone, completely bypasses the need for physical cash at all, and remains completely separate from other more regulated methods such as PayPal or Bitcoins. With over £140,000 worth of B£ in circulation, there is an ever expanding demand for this ‘ghost money’ with drug dealers as far as Yate coming into coming into contact with it. Bristol Mayor George Ferguson was even reported to have taken his salary in £B which is a lot of foccachia bread in anyone’s books. But with prominent public figures using the currency in this way, there is no suspicions raised when other large amounts are presented to the bank. Motive and means. Did you see it? The man on the bike? It’s as easy as that. Untraceable. I'm not saying that was an actual deal, but it could have been. Just like that. Make up your own mind. What started as a popular way of stimulating local economy has transformed into a network of crime. The only foreseeable way to stop these kind of transactions as in favour by all major creditors is to break up the large quantities of cash into smaller transactions, breaking the cycle. In effect buying more local items in small quantities as the £B was originally intended. Buy more independently produced coffee, sausages, arts and crafts or whatever takes your fancy now, before its too late.